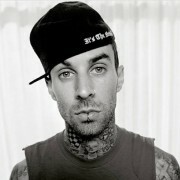 Musician Travis Barker has admitted he was “doing lots of drugs” for most of his adulthood to cope with the pain of his mother’s death. Elvis Costello visits hmv to celebrate the release of his book 'Unfaithful Music and Disappearing Ink'. Peter Andre is reinventing himself as "the new Michael Bublé' and it is working too. 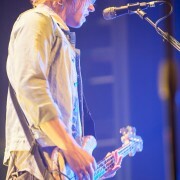 He has a round of arena shows booked in the UK. Forty years after the release of Bohemian Rhapsody, one of the most iconic and instantly recognizable songs of all time, the Classic Rock Roll Of Honour announce Queen as the recipients of the Living Legend Award. The Weeknd, Mark Ronson and Bruno Mars lead the nominations for the Soul Train Music Awards with five nominations each. They are followed by Beyonce, Chris Brown, Jidenna and Tyrese with four. Willie Nelson is hoping the “dark ages are finally behind us” in the mission to get marijuana legalized. 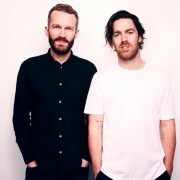 The 2015 Mercury Prize ‘Albums of the Year’ in association with BBC Music were announced on Friday, October 16. Faithless have their third number 1 album in Britain with Faithless 2.0. Jackson Browne will go on the road again in January with just his guitar and piano. L.A. band Lifehouse have played a tribute to local legend John Farnham in his hometown of Melbourne with their performance of ‘You’re The Voice’. 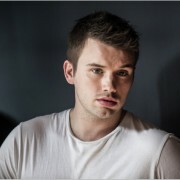 Australia’s Decca Records boss Robert Rigby has signed The Voice finalist and former busker Joe Moore to the label. 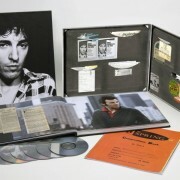 Bruce Springsteen will release an enormous 4CD, 3DVD edition of his classic 1980 album ‘The River’ in December. This week on Noise11’s iHeartRadio show we round up AC/DC with their support acts for the Australian tour and play you the songs AC/DC will open the show with. 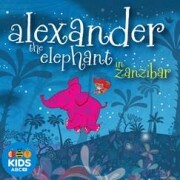 Grinspoon guitarist Pat Davern is going the way of The Wiggles with the release of a children’s book and album ‘Alexander The Elephant In Zanzibar’. 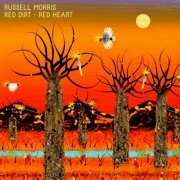 Australian music legend Russell Morris will release the third chapter of his blues trilogy ‘Red Dirt - Red Heart’ on October 23 and previews the album with ‘Lonesome Road’. The Dead Daisies singer John Corabi fronted the highest charting Motley Crue album in Australia. The life of Geoffrey Gurrumul Yunupingu is currently in product for release in 2016. 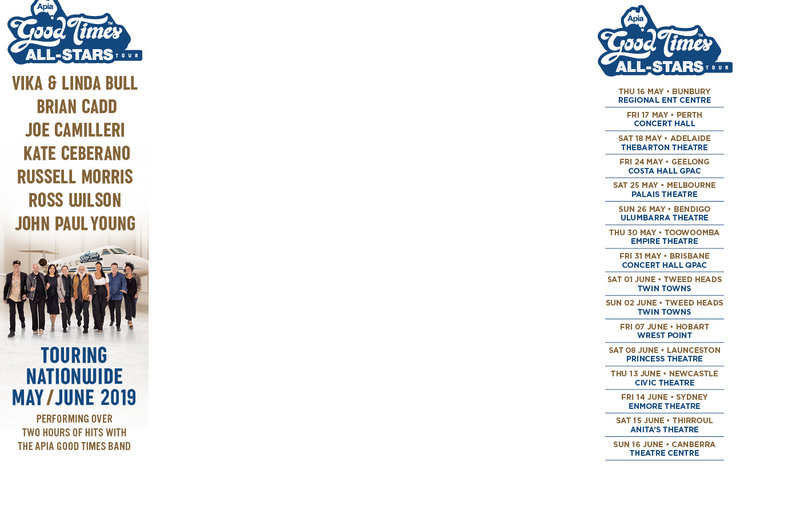 Blind Melon have cancelled their Australian tour. 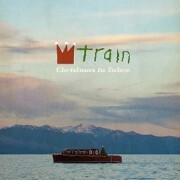 Train will be decking the halls this year for their first-ever Christmas album ‘Christmas In Tahoe’. Coldplay are reportedly set to headline Glastonbury for the fourth time. Jane Fonda has recalled the time she went for a naked swimming session with Michael Jackson and Greta Garbo. Judy Collins has posted an update on Joni Mitchell's condition on her Facebook page. Last week Paul McCartney debuted the video for a new remix of ‘Say Say Say’, his 1983 global hit written and recorded with Michael Jackson. The song was written quickly, with Paul face-to-face with Michael in his London office. Ginger Gilmour, the wife of Pink Floyd's David Gilmour from 1975 to 1989, has released a memoir of her life but don't look for a scandal filled tome. Son Little, SaintSeneca, Ben Folds, Coheed & Cambria, Jamie Lawson, Hillsong, Nothing but Thieves, OMI, Demi Lovato. John Newman, BØRNS, Neon Indian, Soul Elixr and the new Now 2015 compilation head the new music releases this week. Pop star Selena Gomez loved the rumours that she was in a lesbian relationship with Cara Delevingne. Pop star Liam Payne has called Zayn Malik's departure from One Direction a "disaster" but praised fans for helping both sides come out of it unscathed. The trailblazing and extraordinarily talented Gary Numan will receive the prestigious Q Innovation In Sound award, presented by Sony Xperia, at this year’s Q Awards 2015, in association with Absolute Radio. Missy Higgins will head the line-up for the 2016 Peninsula Picnic.